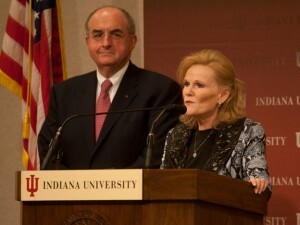 IU president Michael McRobbie looks on as Higher Education Commissioner Teresa Lubbers speaks during a press conference on Monday, October 24 in Indianapolis. McRobbie was announcing a 25 percent summer semester tuition discount for in-state undergraduate students. 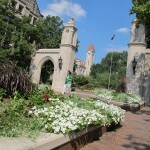 Indiana University officials had high hopes for their cuts to summer semester tuition: $11 million in aggregate savings for students, they hoped, and maybe they’d manage to quiet calls in the legislature for stricter state control over rising college costs too. Yet, lo and behold, a bill has surfaced in the Indiana General Assembly calling for stricter state control over public school tuition. Currently, the authority to set tuition and fees lies solely with the IU Board of Trustees, and the Indiana Commission for Higher Education — which is controlled by the governor — serves in an advisory role. “This is a very big deal,” [IU associate vice president for state relations Jeff] Linder wrote in an email exchange late Friday. But other lawmakers, like Senate Minority Leader Vi Simpson, D-Ellettsville, say the universities’ response is understandable, since state appropriations to higher education have seen decreases. 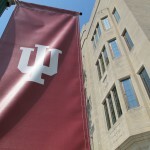 “The thing that’s irritating me these days is the disingenuous tone of ‘We’re giving you lots of money, and we don’t expect you to raise tuition,’ when in fact IU Bloomington was actually cut,” Simpson has said. We haven’t increased our funding as fast as the universities have raised tuition. If they’re always going to raise tuition at two or three times the rate of inflation, and we [the state] are just funding at the rate of inflation, we’ll always be what appears to be a smaller piece of the pie. But that’s because we’ve allowed them the freedom to make that decision, and they’re placing that relationship in jeopardy when they make those arguments and assert that somehow the state’s not doing its fair share. 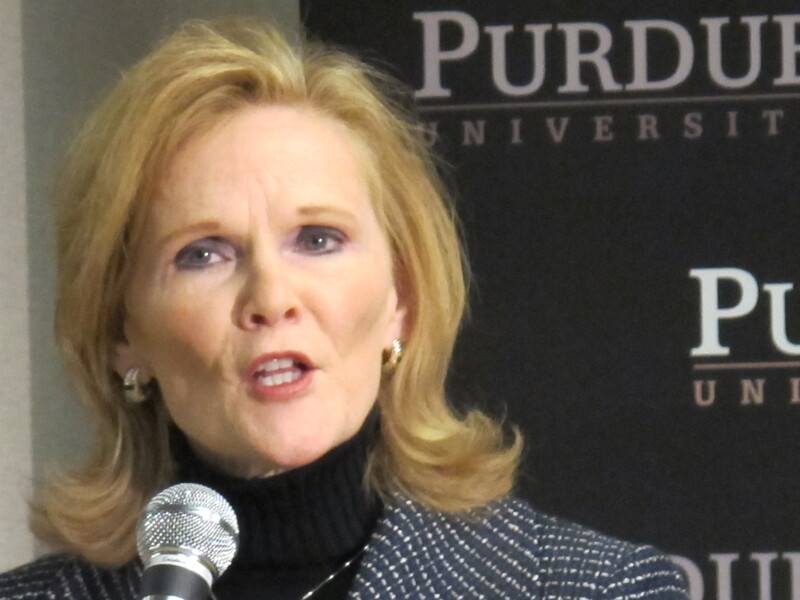 Indiana Higher Education Commissioner Teresa Lubbers speaks in support of Purdue's announcement that the school will shift to a year-round academic calendar — a move school officials hope will save students money. Kenley said in October he didn’t approve of state-mandated tuition limits — despite the fact he thought there was enough will in the legislature to approve them. Still, he said universities and the legislature need to work better together to slow the rate of tuition increases. “We [the universities, legislature and Commission] are not working quite as a team as we have in the past,” Kenley said. Through the fall, it looked as though the three parties were working better ‘as a team.’ Indiana Higher Education Commissioner Teresa Lubbers appeared at press conferences lauding IU’s summer tuition cuts and Purdue University’s gradual move to a year-round academic calendar. She praised Ball State’s move to implement an array of incentives that could save students money. Lubbers said the moves aligned the schools with the Commission for Higher Education’s goals. “We’re really trying to increase the number of people who complete [degrees], who complete on time, and we want to make sure we are incentivizing the right kinds of degrees,” Lubbers says. But perhaps Espich’s tuition caps bill indicates not every feather ruffled by the tuition increases has been smoothed, since the moves by IU, Purdue, and Ball State to incentivize students to take cost saving routes through school didn’t roll back overall increases in tuition. The bill will have to get through the House after disputes over a “right-to-work” union regulation bill are settled. Right-to-work has prompted Democratic walkouts and built up a backlog of legislation in that chamber of the Indiana General Assembly.